The name refers to an ancient stretch of land that stretched along the Mediterranean coast and parts of today's two states Lebanon and Syria included. The Semitic people of the Phoenicians (also Phoenicians or Phoenicians) immigrated here towards the end of the 3rd millennium. In the Bible is the area of ​​the Israelites described as "Land of the Red Purple" (Greek Phoinike = Purple) because of the purple snail secretions used there for the coloration of textiles. In the Bible, the inhabitants are referred to as Canaanites or the name of their cities, especially as Sidonites. The Phoenicians settled in North Africa (Carthage) were called Punier by the Romans. Phenicia was never a political entity, but consisted of several city-states. 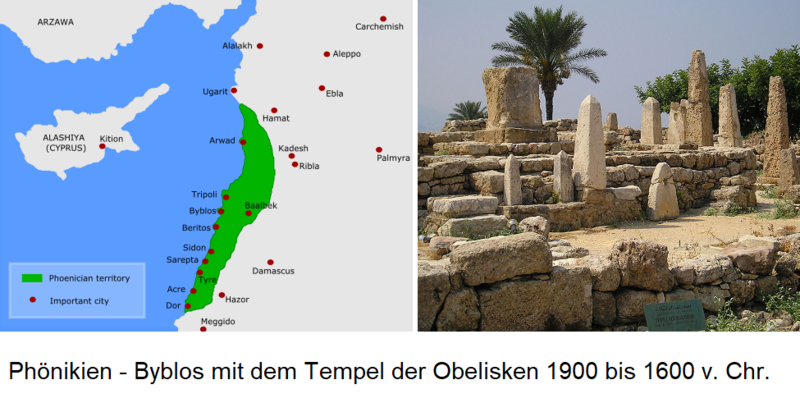 Significant were Arados (Arwad), Berytos (Beirut), Byblos (Djebeil), Sidon (Sayda), Tripoli (Tarãbulus), Tyros (Sur) and Ugurit (Latakia). Until 1200 BC BC, the Phoenicians were under cultural and political influence Egypt, then the two cities Sidon and Tyros gained a dominant position. The largest Phoenician colony was the ancient one Carthage in today Tunisia, which dated from the city-state Tyros 814. v. Was founded in the 3rd millennium BC. Here they planted blooming vineyards. The around 500 v. Chr. BC living Carthaginians Mago described the wine practices of the Phoenicians. They brought their winemaking techniques and vines to the countries they inhabited. Among other things, they should Nuragus and Zibibbo ( Muscat d'Alexandrie ) have brought to Sicily. In addition to the Greeks, they significantly influenced European viticulture. In the 8th century they lost the naval rule in the eastern Mediterranean to the Greeks, Then the Phoenicians came under tributary influence from Assyria, But even after subsequent Persian rule Phoenician cities remained major trading centers. An independent culture existed until 322 BC. When Alexander the Great (356-323 BC) conquered Tyros. Thereafter, Phenicia came under Syrian rule and became meaningless. This page was last modified at 10 June 2018 at 10:05.